Shaun Lands began its hairdressing studies in the late 70s in Grimsby. A few years later he moved to Manchester to work with Pierre Alexandre. In the 90s, Lands is already a leading figure in the world of hairdressing and coloring in Manchester and has a select clientele, among we can find Victoria Adams of the Spice Girls. In the early twenty-first century he began to look for other business models, and in 2003 began the process of R & D to launch an unusual brush, without handle and that detangles the hair so remarkably easy while respecting the cuticle. In only two years, the unique brush of the brand Tangle Teezer was launched and from the outset was a complete success. 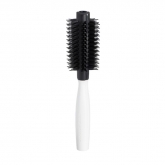 Nowadays there are many models of this particular brush that are best sellers worldwide.